Financial institutions that receive interest income as a result of lending activities must properly account for those payments in their books, differentiating between earned and unearned interest income. These companies must pay close attention to specific accounting procedures, especially those dealing with unearned interest income, revenue amortization and loan recording, to ensure that the financial summaries presented by their ledgers are accurate. 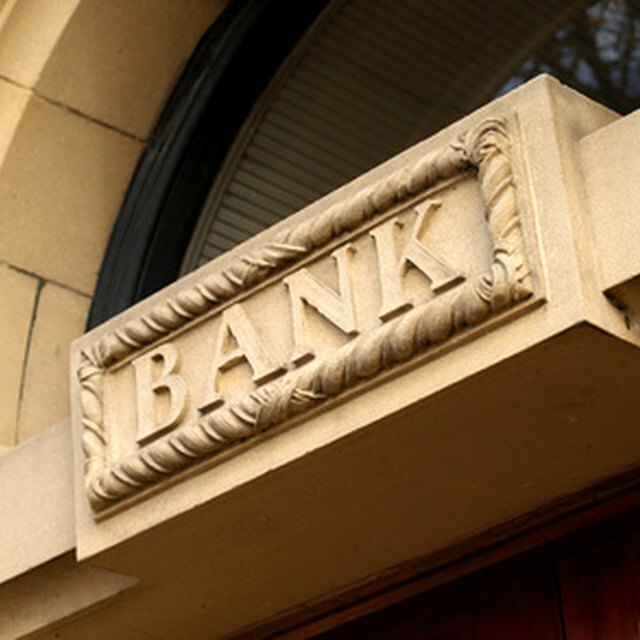 Not all of the interest income a financial institution receives during the course of business has been actually earned as of the day of receipt; much of it is prepaid. For instance, the regular payments of many loans are due on the first of the month for which they're paid. Since the interest applies to the cost of the loan during the month paid for, it hasn't really been earned as of the first of the month. In addition, many borrowers make their loan payments early. The bank records such income but books the interest portion as unearned. A lender records unearned interest income as a liability and gradually amortizes it over the loan term. Amortizing unearned interest income means allocating a portion of the income to one period at a time -- say, a month -- all the way to the loan maturity. By amortizing unearned interest revenue, a lender gradually recognizes interest income in its books. When a borrower prepays interest on a loan, the lender's bookkeeper debits the cash account and credits the unearned interest income account. Debiting cash, a resource account, means increasing money in corporate vaults. This runs counter to the banking terminology. To amortize prepaid interest, the bookkeeper debits the unearned interest income account and credits the interest income account. A bank lends $1 million to a borrower for ten years with an annual interest rate of 10 percent and also requires that the borrower post $50,000 financial guarantee to demonstrate solvency. To record the loan remittance, the bank’s bookkeeper credits the cash account for $1 million and debits the loan receivable account for the same amount. The bookkeeper records the financial guarantee as interest, debiting the cash account for $50,000 and crediting the unearned interest income account for the same amount. At the end of the first year, the borrower determines that interest expense amounts to $100,000, but only remits $95,000. This number takes into account the annual amortization amount of $5,000, or $50,000 divided by 10. To record the interest remittance, the bank’s bookkeeper credits the interest income account for $100,000, debiting the unearned interest income account for $5,000 and the cash account for $95,000. To record interest remittances and amortize unearned interest income accurately, a lender uses tools such as financial analysis software and customer relationship management applications. Other tools include credit adjudication and lending management system software, also known as CALMS; document management programs; and mainframe computers.